As we get near the next holiday ….the 4th of July….your kids may be getting bored now that summer is in full swing! This is the perfect time to start making some holiday crafts. These 4th of July Activities for Kids will keep them active and will help bring some red, white and blue to your home too! 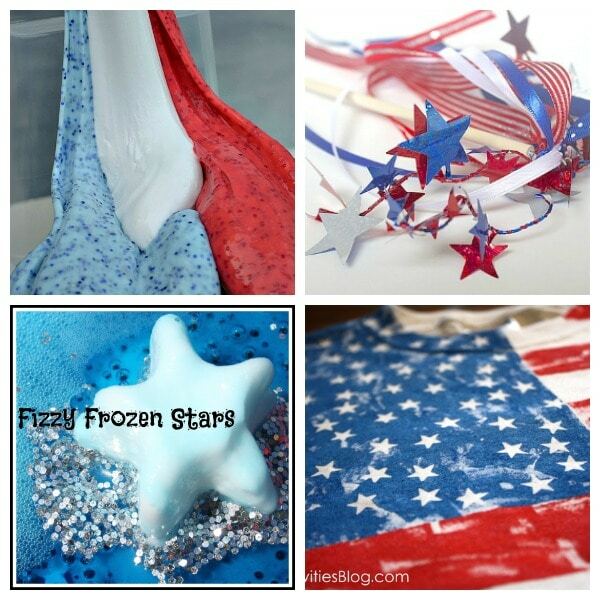 You can whip up some 4th of July Slime thanks to the easy instructions over at The Pleasantest Thing! This really doesn't require very many ingredients and it is so fun to play with! These 4th of July wands from Buggy and Buddy are so cute! I can see my 2 younger girls twirling around and around with these! Bringing a little science into the summer with Little Bins for Little Hands will be fun when we make the Fizzy Frozen Stars! The Kids Activities Blog will show you how easy it can be for your child to make their own 4th of July shirt! Glued to My Crafts shows us how to take something we all have LOTS of in the summer…POPSICLE sticks and make a cute flag craft with them! These Red, White and Blue Bubble Snakes from I Can Teach My Child look like so much fun! Nothing says summer like bubbles!! If you have a really long driveway this activity from Mom Inspired Life could keep your kids busy all day! Painting stars on the driveway is a great idea! 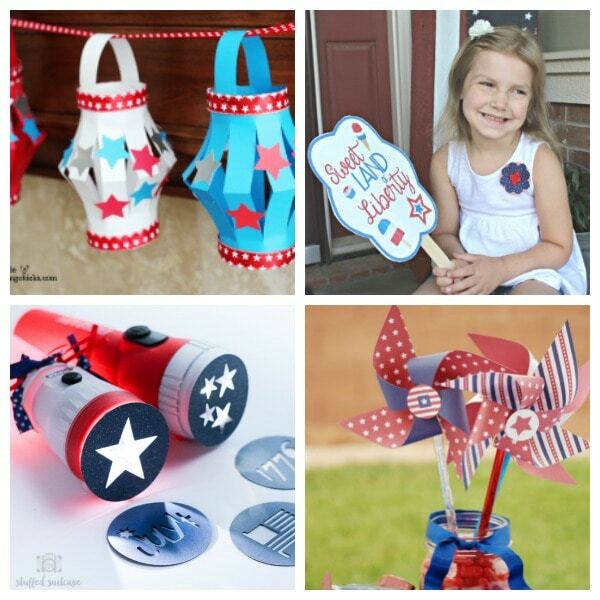 School Time Snippets will help us celebrate the 4th right….LOUDLY….with these 4th of July Noisemakers! Every kid likes to make noise, right! These 4th of July Crowns from Your Modern Family are easy to customize for girls or boys so that everyone is happy! 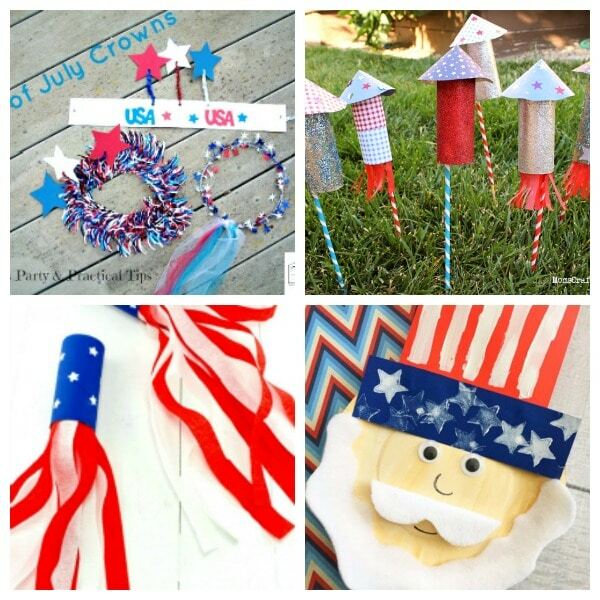 Even if you don't shoot off any fireworks or rockets on the 4th of July…your kids will still have a blast making these 4th of July Rockets from Happiness is Homemade! How about making an adorable Patriotic Kids Blower for the holiday? This is a simple, fun craft. Kids will love making an Uncle Sam Paper Plate Craft and it will look adorable hanging on the fridge in July! 4th of July Paper Lanterns would look great hanging from the mantle or even on the deck. These are perfect for kids to make. If it easy to make these 4th of July Fans with your kids and they will keep the whole family cool on a hot summer evening. Turning a regular flashlight into a 4th of July Flashlight is a quick and fun activity for kids! It is super simple to make 4th of July Pinwheels with the free printable provided by Pretty Providence. What Will You Do for the 4th of July? 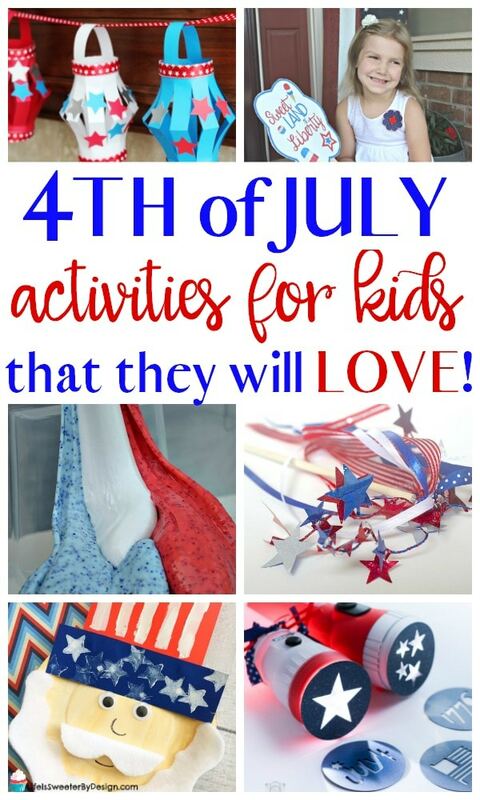 I hope this list of 4th of July Activities for Kids will help you and your children stay busy this summer! 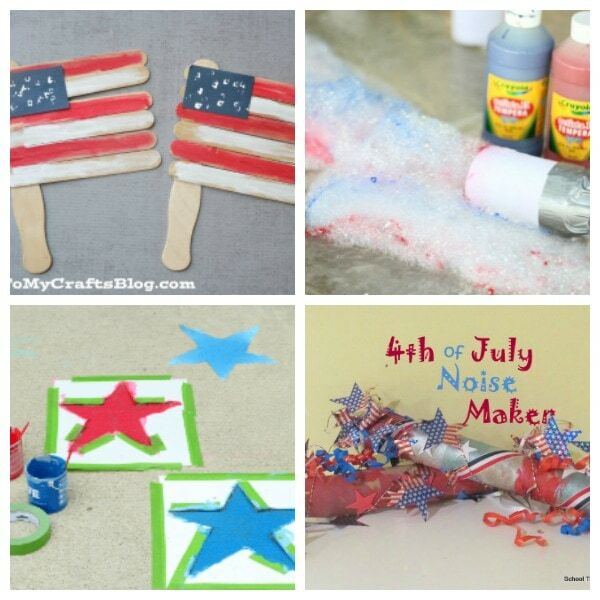 What was your favorite 4th of July Activities for Kids idea?? If you need a great recipe for your holiday cookout…check out these easy Lemon Cheesecake Treats or some Patriotic Cupcake Cones! Love the name of your party, btw! What great ideas to engage children. Hobbies are so creative.